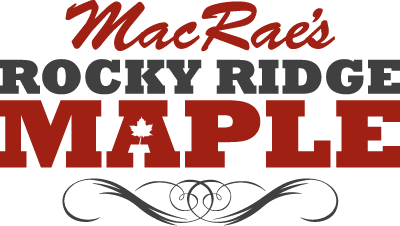 MacRae’s Rocky Ridge Maple pure maple syrup. Whipped cream, fresh berries, chocolate or other topping of choice. Combine the dry ingredients together in a large bowl. Whisk together the egg, milk and vegetable oil. With a fork gradually mix the liquids into the dry ingredients until slightly lumpy. Preheat a non-stick frying pan or griddle and ladle on the pancake batter to create the size of pancake you want. Turn the pancake over once you see the edges starting to bubble. 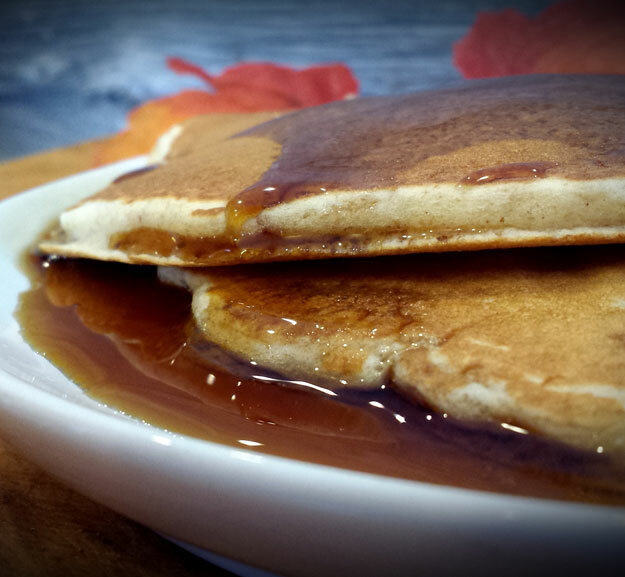 Once the pancake is cooked, serve with MacRae’s Rocky Ridge Maple’s pure maple syrup and any other topping of your choice.